I discovered parkour while on an assignment for a news agency three years ago in Moscow, Russia. I was immediately drawn to the non-competitive nature of it and its open, supportive community. The curiosity, the imagination, the conquering of fear, and desire to get better at movement are the key elements of the sport. Around two years ago a group of eight female photographers from Toronto came together to form SOFIA (Society of Females in Art), a collective I was invited to be a part of. We all had the desire to share creative ideas, work on common projects, support and encourage one another. We decided to pick a common theme to work on for the next year or so. The theme was "Bad Behavior". 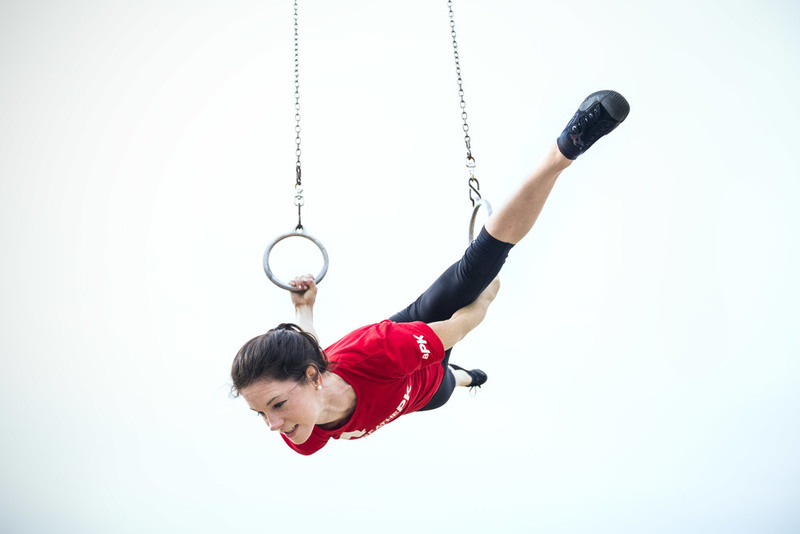 I loved it because it was open to so many interpretations and had an underlying incentive to challenge societal perceptions of what is considered "bad behavior"
It was a perfect opportunity for me to explore Parkour and Freerunning even more closely by focusing on female athletes within different communities in Russia, USA and Canada. I was excited to get to know the women who did not lose the curiosity and desire to explore the physical world and push their personal limits. I would like to extend my gratitude and admiration to all the women I photographed for this project. There are too many to name, but here are a few: Mandy Lam, Brandee Laird, Tamila, Abla Chejai, Nikki Zanewski, Caitlin Pontrella, Page Martin, Amanda Voll, Leila Noone, Alana Reis, Gabby StMartin, Alyssa Serpa, Yasmine Toubel, Anastasia Belka, Katie McBee, Emily Fleet, Bailey Eng, Andrea Ross, Natalie Strasser and many others. Thank you so much for sharing your passion and skill with me! The project is not over! I will be visiting more cities soon and will continue to seek out women and girls who are eager to jump, run, vault and climb! Every traceur I've met in Hawaii mentioned the name of freerunner Eric Wolff, who although was not a local, has spent only about a half a year living, training and traveling on the islands. Judging from the humbled and lit up faces of the people who spoke of his technique and movement, Eric has become somewhat of a local celebrity. I was intrigued and asked Richard Skowronski, Hawaii Parkour leader, to introduce me to Eric. Eric was on the Big Island at the time, but he was eager to hop on the plain to Maui, spend a few days training with Richard and have me document their adventures in nature along the way. Below is a short version of my interview with Eric. Anya: Tell me about yourself: where you were born and when you started doing sports. Who was your first athletic influence in life? Eric: I was born on January 12, 1985, in Lee's Summit Missouri, a town just outside of Kansas City. 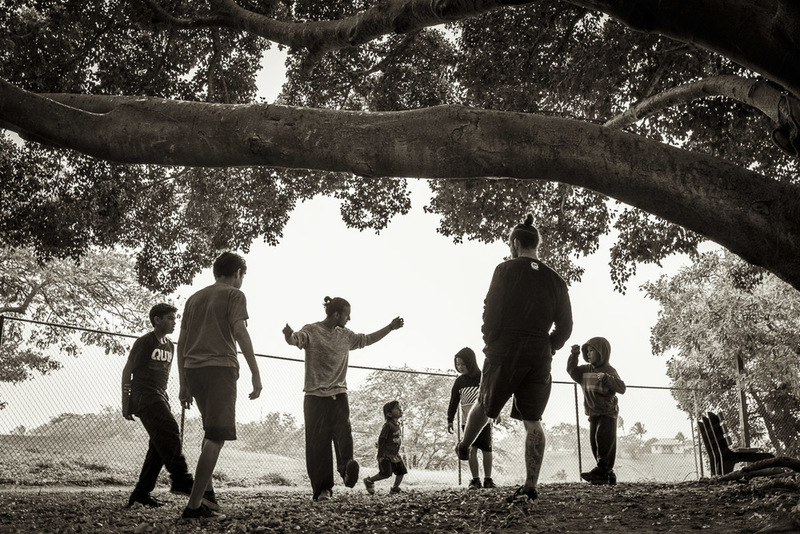 I got introduced early to sports and movement through my family. When my father was growing up he participated in all kinds of sports, mainly baseball and cross country. Eventually, he would go to college and receive a degree in physical education. By 3 or 4 years old I was in many activities myself. Soccer, football, baseball and Bushido Kan Karate are the first I can remember. Throughout the years I went on to try many other forms of movement; gymnastics, track and field, diving, cheerleading and even backyard wrestling before finally making my way to parkour. Anya: When did you start doing PK seriously, and how the practice shaped your personal philosophy and your life views? Eric: I started training parkour in 2001 and pretty much have done it every day since then. There's always something new to learn, a skill to progress on or train in a new environment that's providing unique challenges. So it's always been a constant in my life. I've felt I shaped Parkour to suit my philosophical views instead of it being the other way around. The philosophy's of Zen followers like Dogen and Saigyo and Taoist like Lao and Chang Tzu have always resonated with me. Parkour's been a tool for me to be "in the moment". When you're moving, there's nothing outside of that. The sound of feet on concrete, the calm that comes before a jump and the happiness that comes back in after you're successful. It's been the easiest and most consistent way to bring me joy and keep me in the "here and now". Eric: My training varies greatly depending on my surroundings or the season. If I'm in a city most of my training is in the form of actually Pk movement. I find a spot and work on whatever comes to mind. Mainly focusing on a technical style of parkour. During the winter, I focus a lot on stretching, condition and cardio. Years ago I put together a program that started with a massage and joint rotation, then went into stretching and conditioning, and finished with cardio and drilling parkour movements. Every day I'd spend a couple of hours going through the routine trying to stay at least at my current level through the season. AC: When did you start traveling and leading a "nomadic" life? What drove you there and what keeps you going? Eric: It's been about two years now that I've been leading a nomad like lifestyle. My current partner and I left Seattle, purchased a van and started living out of it. For many years before that, I was almost stuck in my routine. I was managing a body piercing shop working 4 or 5 days a week with no end in sight and in a relationship that I wasn't enjoying. I was longing for the traveling I was used to while growing up. I was ready to disconnect from the city life. As soon as the opportunity presented itself I took it. It's been the best decision I've ever made. Every day I wake up in a new environment where the only thing that is the same is myself. It's helped me learn a lot about who I am. Anya: Where will you be heading next? Eric Wolff has a youtube chanel where he frequently posts his "Movements of the Day"
In 2007 a group of 5 traceurs (Ozzi G, Adam McClellan, Jason Triplett, Kyle and Richard Skowronski) formed a Parkour team in Honolulu, Hawaii and started training together in city parks. They called themselves UCC - Urban Current Clan. 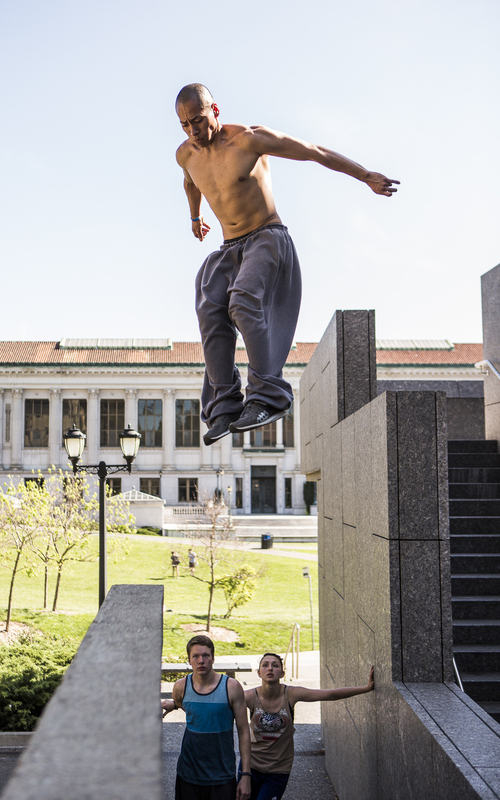 While all of the members were serious about Parkour, Ozzy G, who dedicated the majority of his time to the team and its advancement, became the driving force behind the group. Soon the team started to get noticed in print and television. As their popularity grew, people around Hawaii began asking them to teach parkour. The team started holding 3-4 hr long seminars every month or so at local parks and training spots. They also began making tutorial and conditioning videos for YouTube audience. At this point, UCC's focus started to shift from the team to the idea of a more inclusive parkour community. 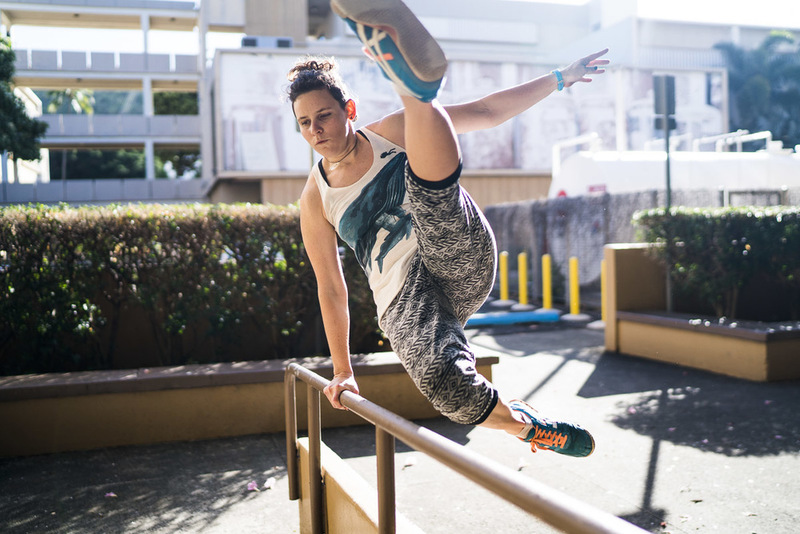 Eventually, teaching and education became core staple of what is now Hawaii Parkour Community http://hawaiipk.me/. 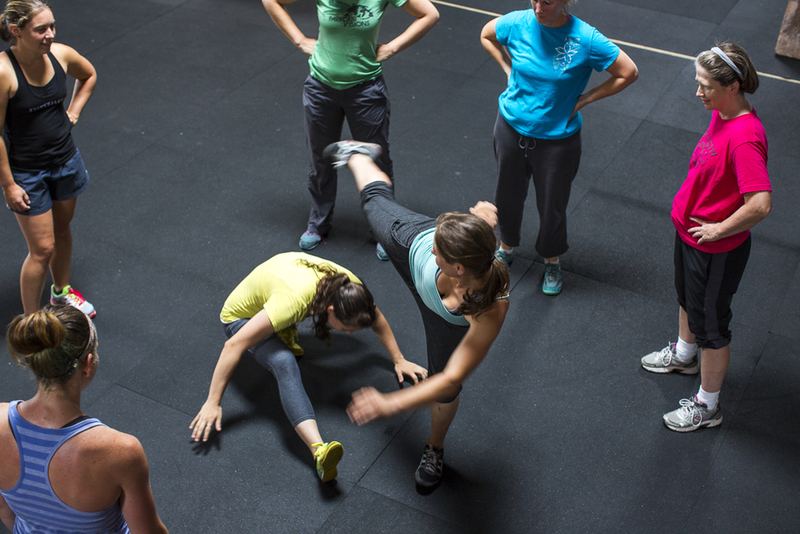 Training and meet-ups were being held at a cross-fit and then gymnastic's facility. 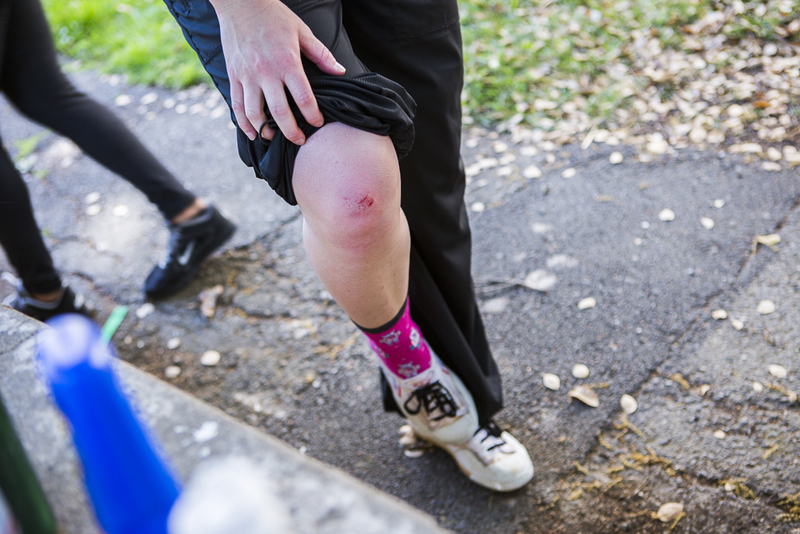 But PK coaches started to notice that practitioners not only had a more difficult time transitioning from indoor to outdoor environment but also seemed to hurt themselves more in a gym setting. Hawaii Parkour eventually ended all gym affiliations and went back to practicing outdoors. 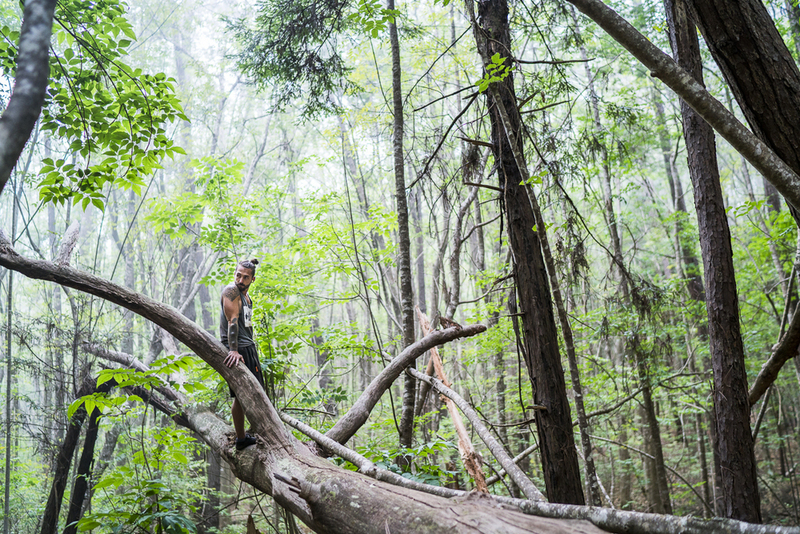 At the end of 2012 Ozzi G left Hawaii to pursue other life challenges and explorations around the world. Richard Skowronski, another team member, took over the community as organizer and figurehead. I visited Richard on Maui, where he is currently based. He's an incredibly passionate and inspirational coach and has a particular talent for working with kids. Hawaii Parkour also has aspirations to host the first Trans-Pacific jam in Honolulu in the summer of 2017. The goal is to bring practitioners from Asia-Pacific countries and mainland USA to meet and practice in the middle grounds - Hawaii Islands. On Maui, Richard is being hosted by Core, a local musician, producer and an eager parkour enthusiast. Core frequently opens his home to PK practitioners and other creatives from around the world. With time, he plans to have a full-time artist residency at his house. I was invited to stay there together with Richard and Eric Wolff (another talented traceur who currently resided on the Big Island of Hawaii and who will be featured in my next blog post) My biggest impression from experiencing Hawaii was nature and its influence on people's lifestyle. Parkour (being an urban sport after all) takes on a different, almost more spiritual, quality and meaning in this earthy environment. In September, I had the privilege to go on an expedition cruise through the Southern Japanese islands for Conde Nast Traveller magazine. Although Tokyo was not one of the destinations, I just had to make a stop there to meet with and photograph local parkour artists. I was surprised to discover that Tokyo PK community is very small - no more than one hundred people. Japanese are known to be a very traditional and conservative nation. One of the most important objectives in their life, it seems, is to be remarkably polite and not to cause disturbance or discomfort to others. Parkour most definitely does not fit into a non-disturbance category. Jun Suto, one of the PK artist I was about to meet, has warned me that I will only have a few minutes to shoot before police or security would ask us to leave. Another unexpected obstacle was heavy and continuous rainfall during my entire five days stay in Tokyo. I arrived during a typhoon season! Even if I risked drenching my expensive cameras and lenses, could the guys practice on a wet and slippery surface? There was only one spot where training was possible - along Sumida river and under a wide freeway that runs through Tokyo. On the first day, I met with Zen Shimada http://zenkour.com/ - an amazing parkour athlete and performer. He came with two of his friends Kenichi Sato and Kensuke Nomura. We moved under the freeway along the river and climbed under bridges until we got to a busy Shibuya Square. Zen lived only a few blocks away. We finished the day by climbing to the rooftop of the highrise where he lived. Since I can't climb a vertical wall twice my height, the guys had to drag me up and lower me down at one point. I try not to go anywhere with PK athletes where I can't climb myself, but the promised view of Tokyo skyline was too much to miss. Over the course of a weekend in late July, the jam was attended by 75 women from around the USA and Canada. Parkour Visions provided their facilities to people from out of town and let people sleep at the gym. It also hosted morning workshops and a "challenge" night. 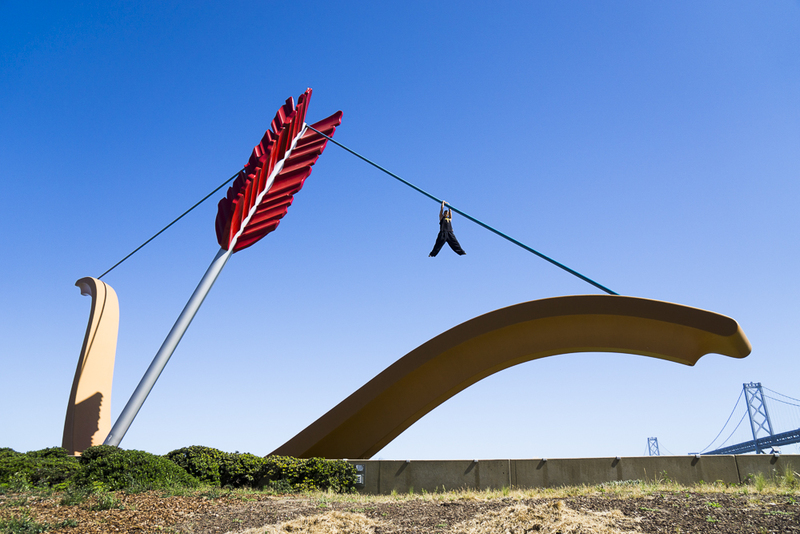 The group moved around the city and visited several iconic parkour spots such as Freeway Park (designed by prominent American landscape architect Lawrence Halprin), Gasworks Park and Volunteer Park. It was my second time at the jam (the first one being in Toronto in 2014) Both times I found the experience to be incredibly inspirational and rewarding. Not only did I get to see and practice new ways to move creatively with people who share the same strong passion, but I also discovered new and meaningful friendships. 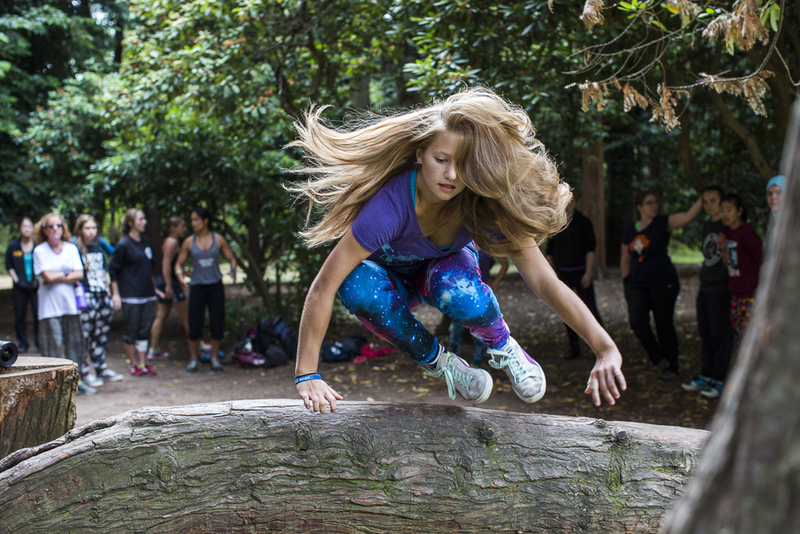 Most women who attended the event were very serious about parkour and other sports in their everyday lives. Many were professional athletes and coaches. There were also some beginners and intermediates, such as myself, but I felt full inclusion and comradeship every minute of the jam. Next year’s jam will take place in Boulder, Colorado, a city known for a vibrant scene of outdoor sports and parkour. Raul Piscoya is the head of San Francisco Parkour, a non-profit community. 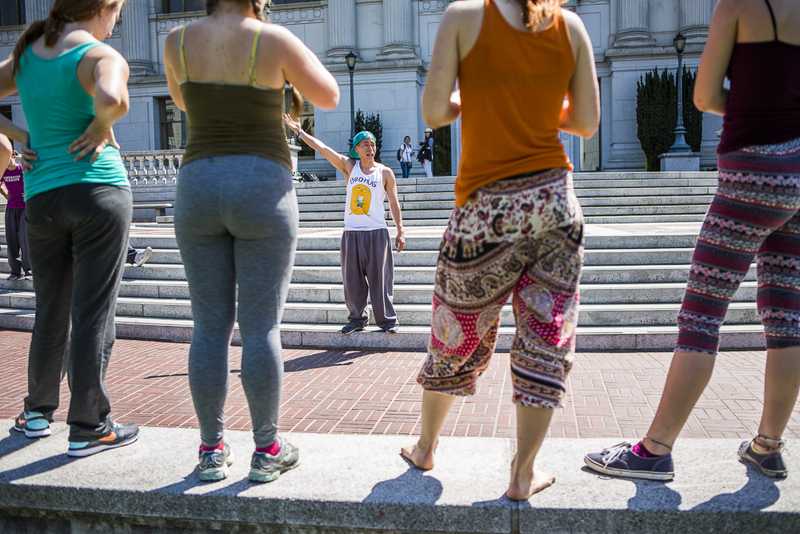 He teaches beginner classes and organizes weekly and monthly jams in the Bay Area. 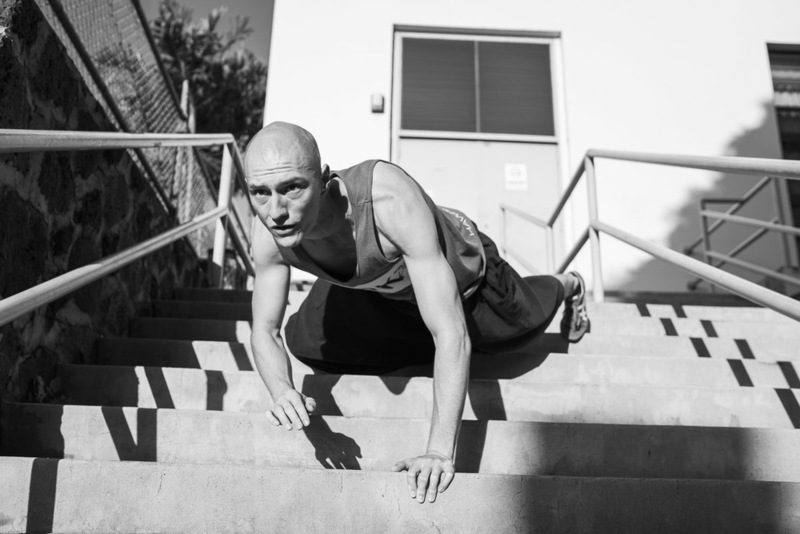 He is a member of American Parkour and the Tribe Team. Raul started doing Parkour 5 years ago when he was 21 years old. 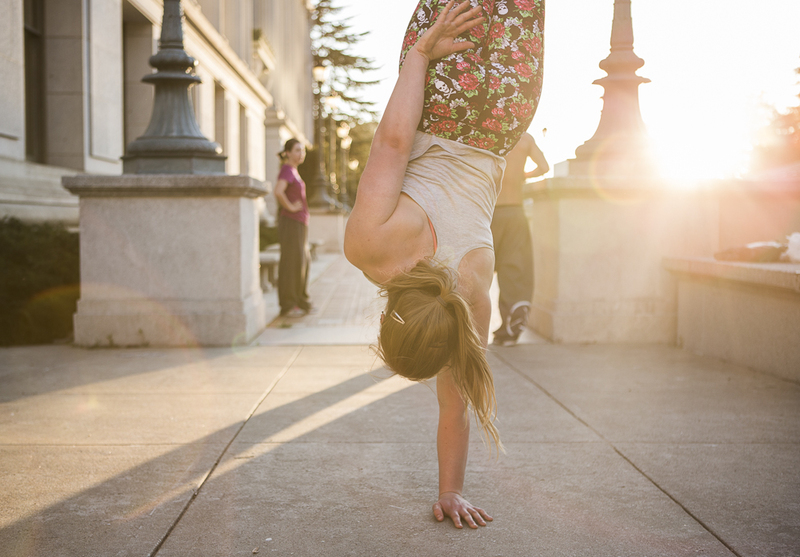 He attended a beginner's SF Parkour class and got hooked. He did not have any previous experience playing sports and "did not feel too well about it". 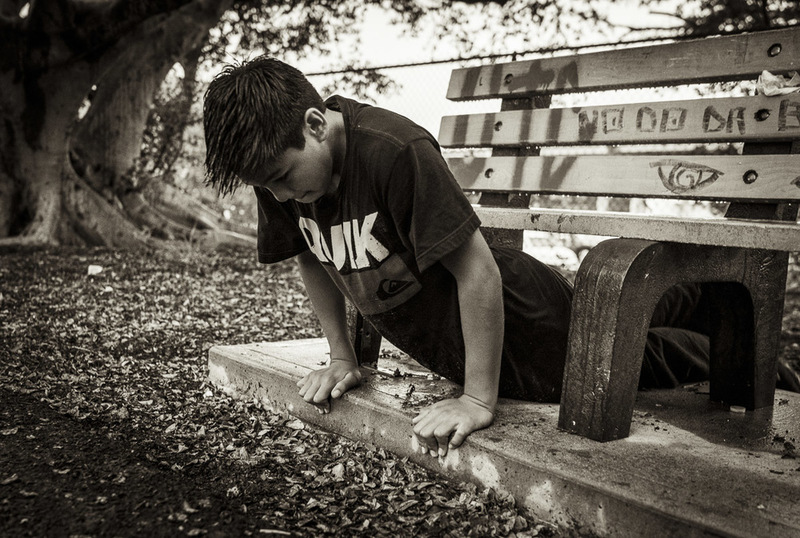 Parkour encouraged him to do a lot of hard training and conditioning. It also helped him "vent out" a lot of negative emotions during that period. Raul was born in Peru. When he was 7 years old, his mom took him and moved to the East Coast, settling in New Jersey. Later the two of them moved to the San Francisco area. Straight out of high school Raul went on to work full time at a coffee factory where he is still employed today. Parkour is Raul’s hobby, although it is starting to open up new professional opportunities and possibilities for him. Raul loves teaching and has taken on the responsibility of being a PK leader in the Bay Area. He thinks that we weren't born to sit or walk but are also meant to play and be creative with movement. Most people have been discouraged from doing so after being repeatedly told not to run, jump and climb throughout their childhood. 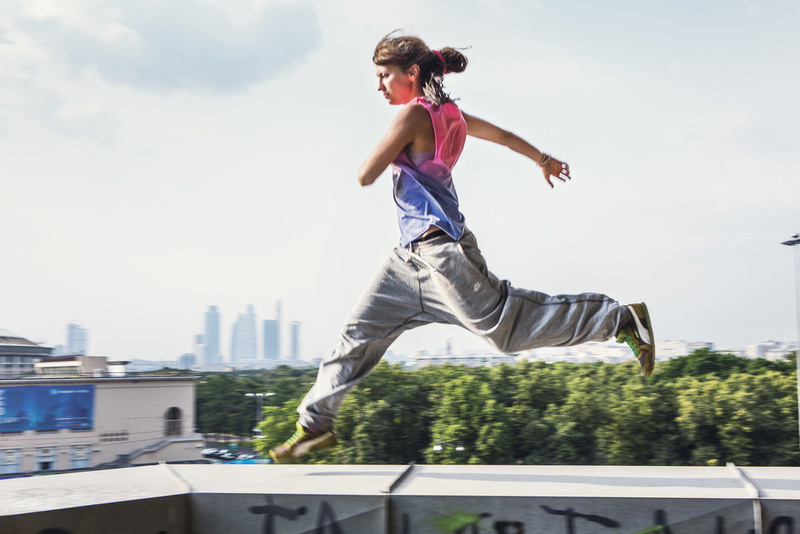 Parkour encourages play and keeps one's body healthy and one's spirit young at heart. Raul's favorite motto is - TRAIN HARD AND STAY HUMBLE. 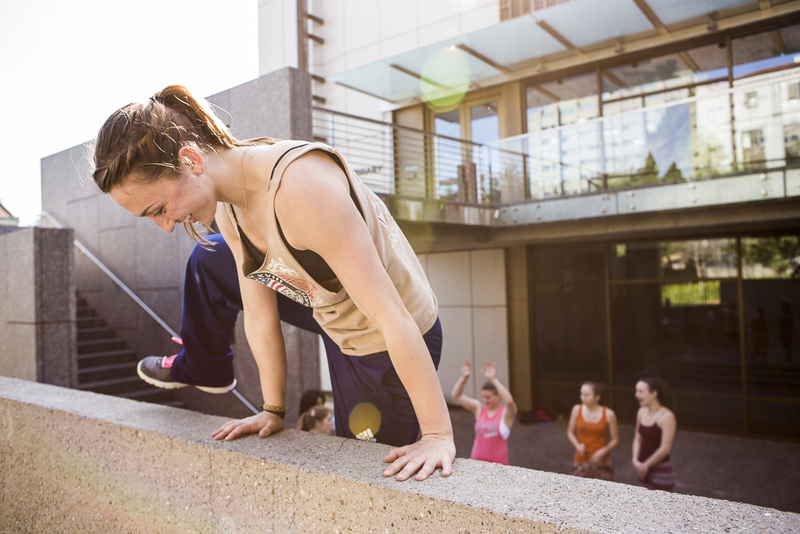 On the 28th of March 2015, Raul Piscoya of San Francisco Parkour organized the first Women’s Parkour meet up which took place on University of California's campus in Berkley. It was during the spring break, so the campus was unusually empty and quiet. The class started with warm ups on all fours, landing and jumping techniques, basic vaults and balance training. Upper body strength drills were added later, which mostly consisted of climbing over obstacles. About half of the women who came to the meet up already had some parkour experience. Five of these women train PK on a regular basis. Raul decided to organize the all female jam himself since there wasn't yet a female PK leader in the Bay Area. 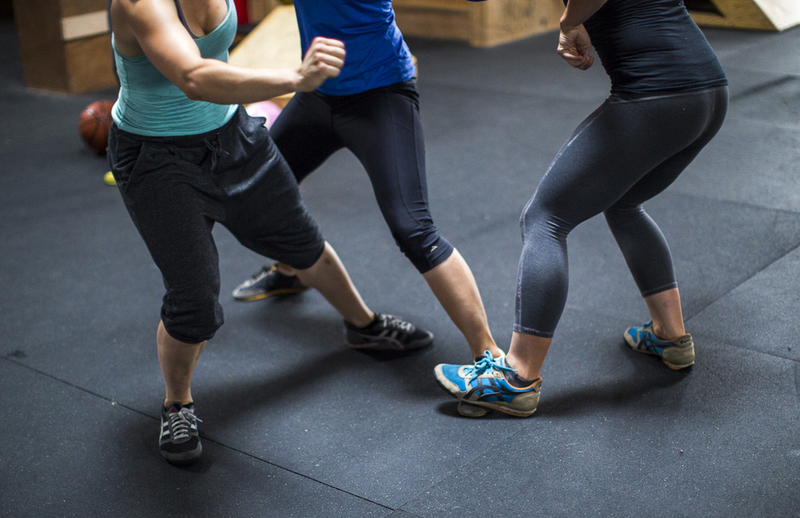 He explained that many women generally feel uncomfortable at first at predominantly male meet ups, where many guys jump around with their shirts off, oftentimes making racy jokes and doing advanced training - all of which can be very intimidating. Raul personally loves the idea of mixed gender trainings and hopes that all women interested in parkour will join weekly jams with the guys in the future. Raul met his girlfriend Gabby StMartin through parkour. She comes from a volleyball background and has been practicing PK for 2 years. Raul thinks that practicing PK has not just helped her play volleyball better, but has taught her how to land properly on her feet and strengthened her. The decision to organize the jam at Berkley had a lot to do with police being accustomed to traceurs jumping around and practicing here, which they have been for the past 8 years. Most of the architecture is made of concrete and it’s hard to break something while practicing. Also PK athletes here take care not to damage plants, pick up trash after themselves and even bring magic erasers to clean up the walls from their shoe marks. All of this creates a good reputation with the local police and security forces.